Cybersecurity is the central challenge of our digital age. Without it, everything from our personal email accounts and privacy to the way we do business, and all types of critical infrastructure, are under threat. As attackers evolve, staying ahead of these threats is getting harder. Microsoft can help. We focus on three areas: running security operations that work for you, building enterprise-class technology, and driving partnerships for a heterogeneous world. We can tip the scales in favor of the good guys and make the world a safer place. Every day, we practice security operations at a global scale to protect our customers, in the process analyzing more than 6.5 trillion signals. This is the most recent chapter in a journey down the experience curve that we have been on for more than a decade. Beginning with securing the operating system platform, our Microsoft Threat Intelligence Center (MSTIC) learned to build multi-dimensional telemetry to support security use cases, and to spot that rogue exploit in a distant crash dump bucket. 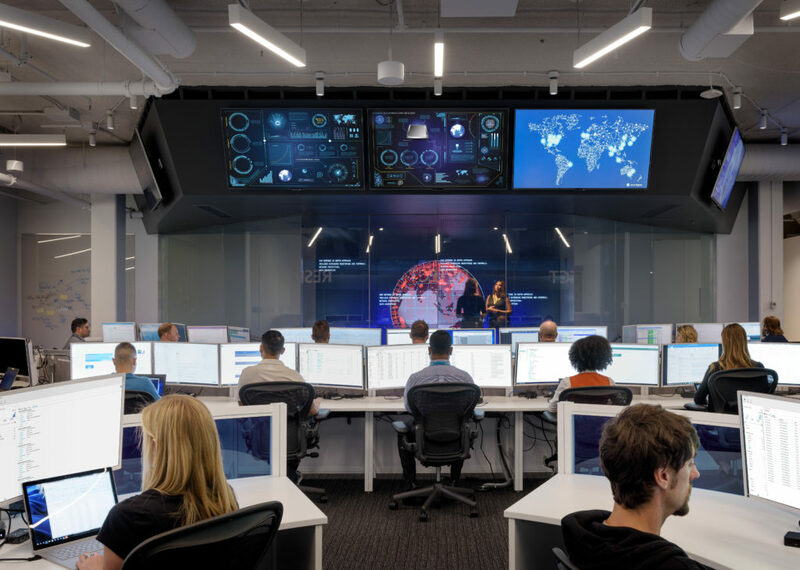 Today, more than 3,500 full-time security professionals work to secure datacenters, run our Cyber Defense Operations Center, hack our own defenses, and hunt down attackers. We block more than 5 billion distinct malware threats per month. Just one recent example shows the power of the cloud. Microsoft’s cloud-based machine learning models detected a stealthy and highly targeted attack on small businesses across the U.S. with only 200 discrete targets called Ursnif and neutralized the threat. We surface this operational experience and the insights we derived in the security technology we build. It is the cloud that enables us to take all this signal, intelligence, and operational experience and use it to help our customers be more secure, with enterprise-class security technology. For example, we use the insights from processing hundreds of billions of authentications to cloud services a month to deliver risk-based conditional access for customers in Azure Active Directory (AD). We are not only protecting the Microsoft platform though. Our security helps protect hundreds of thousands of line-of-business and SaaS apps as they connect to Azure AD. We are delivering new support for password-less sign-in to Azure AD-connected apps via Microsoft Authenticator. The Authenticator app replaces your password with a more secure multi-factor sign-in that combines your phone and your fingerprint, face, or PIN. Using a multi-factor sign-in method, you can reduce compromise by 99.9 percent, and you can make the user experience simpler by eliminating passwords. No company lets enterprises eliminate more passwords than Microsoft. Today, we are declaring an end to the era of passwords. Microsoft Secure Score is the only enterprise-class dynamic report card for cybersecurity. By using it, organizations get assessments and recommendations that typically reduce their chance of a breach by 30-fold. It guides you to take steps like securing admin accounts with Multi-Factor Authentication (MFA), securing user accounts with MFA, and turning off client-side email forwarding rules. Starting today, we’re expanding Secure Score to cover all of Microsoft 365. We are also introducing Secure Score for your hybrid cloud workloads in the Azure Security Center, so you have full visibility across your estate. By connecting our cloud intelligence to our threat protection solutions, we can stem a mass outbreak or find a needle in a haystack. A recent highly localized malware campaign, for example, targeted just under 200 home users and small businesses in a few U.S. cities. It was designed to fly under the radar, but Windows Defender’s cloud-based machine learning models detected the malicious behavior and stopped it cold. To help security operations professionals benefit from our experience, we created a community where our researchers and others from the industry can share advanced queries to hunt attackers and new threats, giving us all more insight and better protection. 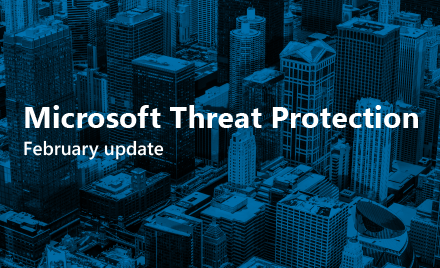 Today, we’re announcing Microsoft Threat Protection, an integrated experience for detection, investigation, and remediation across endpoints, email, documents, identity, and infrastructure in the Microsoft 365 admin console. This will let analysts save thousands of hours as they automate the more mundane security tasks. Cloud workloads are often targeted by cybercriminals because they operate on some of the most sensitive data an organization has. We made Azure the first cloud platform to offer confidentiality and integrity of data while in use—adding to the protections already in place to encrypt data in transit and at rest. Azure confidential computing benefits will be available soon on a new DC series of virtual machines in Azure, enabling trusted execution environments using Intel SGX chipsets to protect data while it is computed on. Sensitive data isn’t only in databases and cloud workloads. A huge amount of the information we share in email and documents is private or sensitive too. 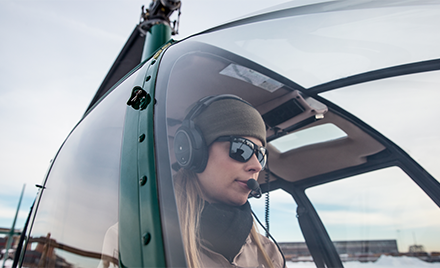 To effectively protect your most important data, you need intelligent solutions that enable you to automatically discover, classify, label, protect, and monitor it—no matter where it lives or travels. The Microsoft Information Protection solutions we announced last year help to do just that. Today, we are rolling out a unified labeling experience in the Security & Compliance center, which gives you a single, integrated approach to creating data sensitivity and data retention labels. We are also previewing labeling capabilities that are built right into Office apps across all major platforms, and extending labeling and protection capabilities to include PDF documents. The Microsoft Information Protection SDK, now generally available, enables other software creators to enhance and build their own applications that understand, apply, and act on Microsoft’s sensitivity labels. To address a challenge as big as cybersecurity, we do more than only drive technological innovation. We invest in a broad set of technology and policy partnership initiatives. We work across the industry to advance the state of the art and to lead on standards through organizations like the FIDO alliance, and to tackle emerging new ecosystem challenges like security for MCU-powered devices with innovations such as Azure Sphere, now available for preview. We also work with our fellow security vendors to integrate the variety of security tools that our mutual customers use through our Microsoft Intelligent Security Association. Specifically, the Microsoft Graph Security API, generally available starting today, helps our partners work with us and each other to give you better threat detection and faster incident response. It connects a broad heterogeneous ecosystem of security solutions via a standard interface to help integrate security alerts, unlock contextual information, and simplify security automation. Microsoft is working with tech companies, policymakers, and institutions—critical to the democratic process—on strategies to protect our midterm elections. The Defending Democracy program is working to protect political campaigns from hacking, increase security of the electoral process, defend against disinformation, and bring greater transparency to political advertising online. Part of this program is the AccountGuard initiative that provides state-of-the-art cybersecurity protection at no extra cost to all candidates and campaign offices at the federal, state, and local level, as well as think tanks and political organizations. We’ve had strong interest in AccountGuard and in the first month onboarded more than 30 organizations. We’ve focused on onboarding large national party operations first and have successfully done so for committees representing both major U.S. parties as well as high profile campaigns and think tanks, and we are working to onboard additional groups each week. Microsoft is developing plans to extend our Defending Democracy program to democracies around the world. Since participating in the establishment of the Cybersecurity Tech Accord, an agreement to defend all customers everywhere from malicious attacks by cybercriminal enterprises and nation states, we have seen that group nearly double in size with 27 new organizations joining from around the globe, including Panasonic, Salesforce, Swisscom, and Rockwell Automation to name a few, bringing total signatories to 61. Our Digital Crimes Unit has worked with global law enforcement agencies to bring criminals to justice: to date, taking down 18 criminal bot-nets and rescuing nearly 500 million devices from secret bot-net control. In partnership with security teams across the company, the Digital Crimes Unit has also combatted nation-state hackers, using innovative legal approaches 12 times in two years to shut down 84 fake websites, often used in phishing attacks and set up by a group known as Strontium that is widely associated with the Russian government. Our unique leadership and unmatched breadth of impact in security comes with a unique responsibility to make the world a safer place. We embrace it, and I am optimistic about what we can do. Together with our customers, we are turning the tide in cybersecurity. I’ll be talking about these announcements and more today in my session at Ignite. If you’re not in Orlando, you can live stream it. To learn more about Microsoft’s security offerings, visit Microsoft.com/security.